Michigan State Troopers saved two dogs from a burning home in Springvale Township on Dec. 27, 2018. 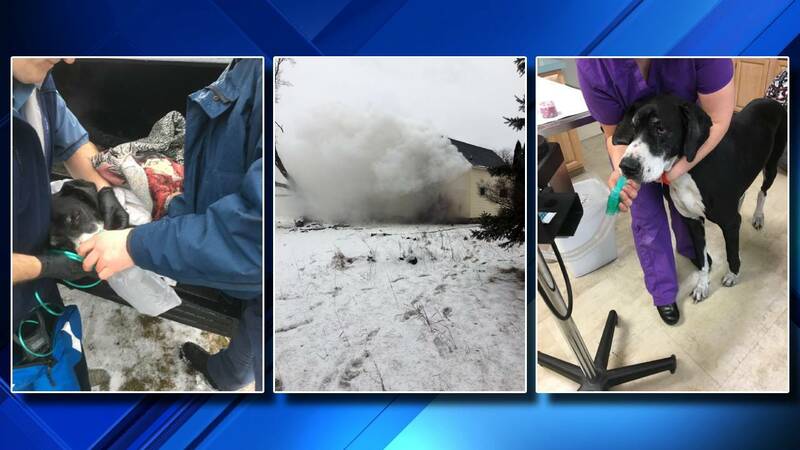 SPRINGVALE TOWNSHIP, Mich. - Michigan State Police troopers saved two family dogs from a burning home Thursday afternoon. According to authorities, troopers reported to the fire at about 3 p.m. The people inside the home had escaped the fire, but two dogs were still inside the burning house. A trooper entered the home and located one dog, a 1-year-old Great Dane puppy named Luffy. Once Luffy was safely outside, the trooper went back into the house with a firefighter and located the second dog, a 3-year-old Great Dane named Igneel. Igneel was suffering from smoke inhalation and was unconscious. 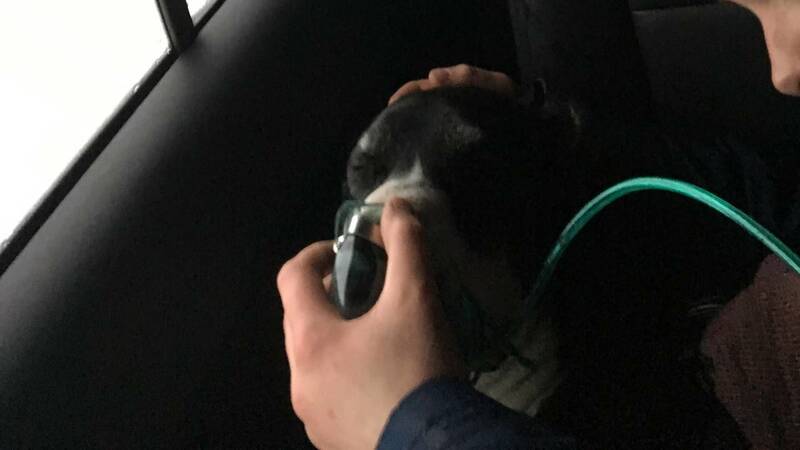 The dog was carried outside the house where paramedics assisted in giving the struggling animal oxygen while neighbors wrapped Igneel in blankets. Igneel was transported to the Bay Pines Veterinary Clinic while troopers continued to supply the dog with oxygen. By the time they arrived at the clinic, Igneel was conscious and beginning to breath better. Igneel is expected to make a full recovery.